Breastfeeding, is an exhausting task for any mom. It saps out our physical and mental energy. A vast amount of nutrition and calorie is required to produce that highly recommended choice of milk for the wee one. 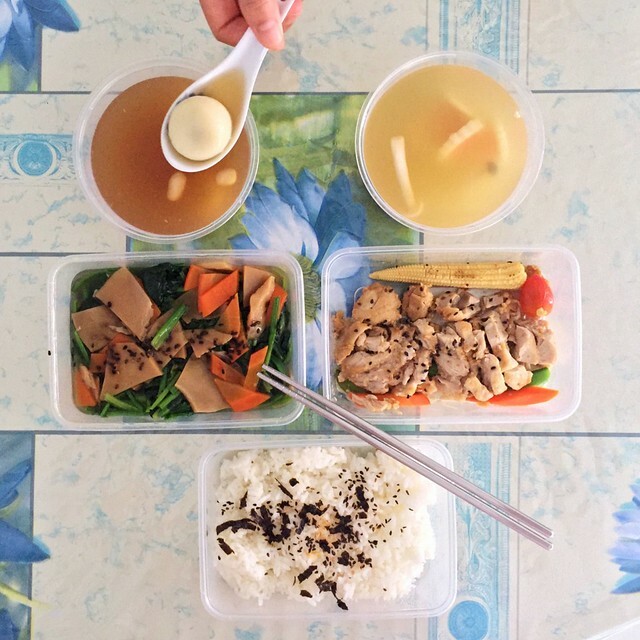 After my confinement nanny left, I needed to keep up with my nutritional intake while handling the busy & exhausting schedule of caring for a newborn. 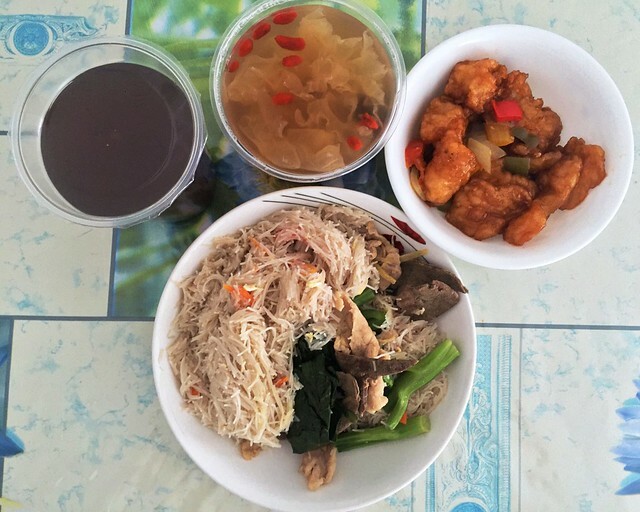 Tian Wei Signature was my solution to a healthy meal during those tough days. Read on to find out more. I think I would have died – nah, most definitely would have died – of starvation and exhaustion, if it weren’t for Tian Wei Signature. I hadn’t thought that caring for a newborn would be this... tough. 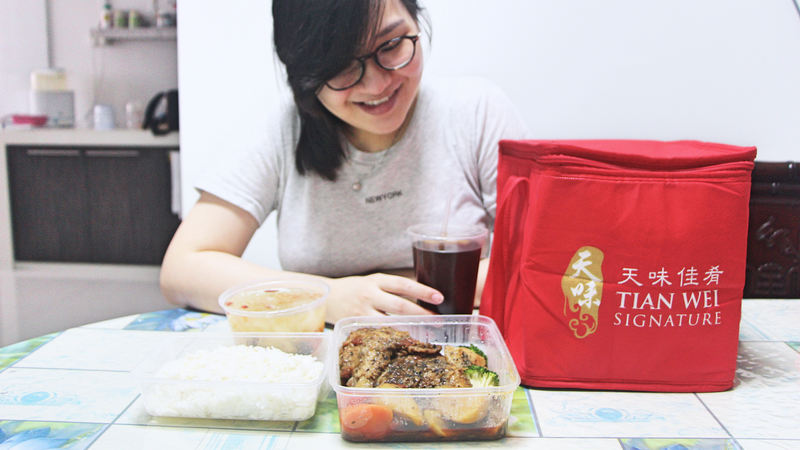 For the month after my confinement ended, I relied heavily on Tian Wei Signature to settle my meals. I’ll be frank and share with you that on most days (like 99% of them), I am so tired that eating is the last thing on my mind — much less cooking or going downstairs to buy food or even ordering for delivery online. 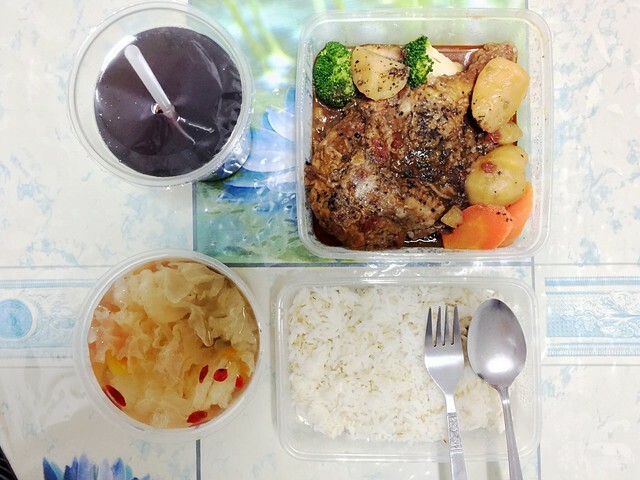 My meals with Tian Wei started three days after my confinement, hence for those days I had to source for a solution to my lunch. (In case you’re wondering what about dinner, my husband buys dinner home after work). On one of the days, I tried to order MacDonald’s – yeh yeh, it is unhealthy but I had cravings – and from the time that I began viewing the menu to the minute I hit “send” for my order... that was one and a half hours later. Why did it take so long? Because my baby woke up crying and demanded attention every FIVE bloody minutes. It was impossible to get a moment of peace to review the menu, make a selection and place my order. With Tian Wei Signature, I no longer had to fret over my lunch. They would deliver it promptly at 11am everyday, in their thermal bag, which is great because the food is kept warm and ready to be eaten straightaway! However if you’re busy and can’t have your meal now, just heat it up in your microwave oven later on! 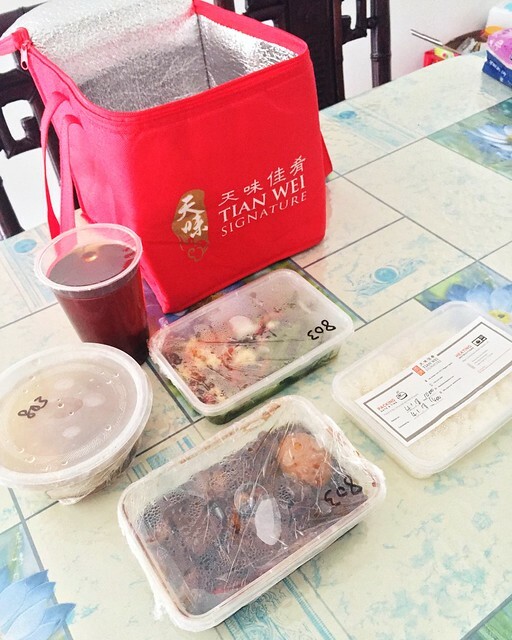 I like the effort that Tian Wei Signature has placed into infusing variety in their meals. In addition, every ingredient used to cook each dish at Tian Wei Signature has gone through much careful thought and deliberation by Chef Eugene. He is cautious in his selection of ingredients and is focused in helping new mummies to boost their milk supply! I would like to applaud Chef Eugene for his caution as even confinement nannies (um, like my confinement nanny for instance) who have worked for over a decade are unaware of simple ingredients like cabbage, which can reduce milk supply! So to all mummies, please do not take food that is served to you by your confinement nannies for granted, do always check! 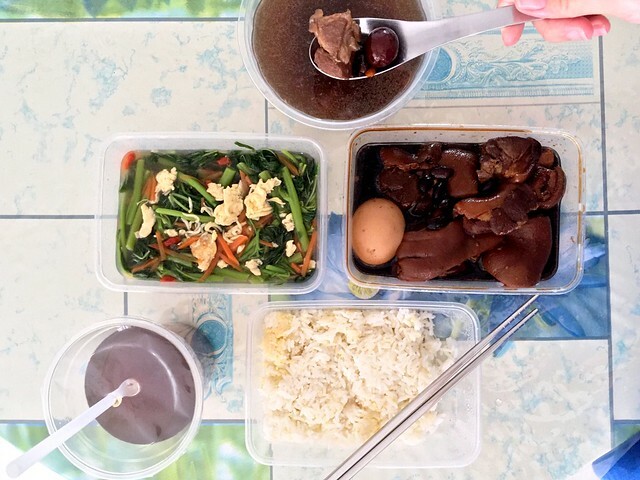 From Tian Wei Signature, we see the usual “traditional” confinement meals such as steamed threadfin fish, stir-fry pig kidney and pig trotter cooked in black vinegar. As I had just mentioned, Chef Eugene takes pride in the ingredients used for every dish. Thus for instance, in the Steamed Threadfin Fillet With Ginger Broth And Black Fungus ... Chef Eugene uses threadfin fish as it is a confinement friendly seafood. Carrots have been incorporated into the dish to help boost milk supply. Ginger juice is opted for over ginger slices as some mummies (me included!) are terrified of the strong ginger taste! 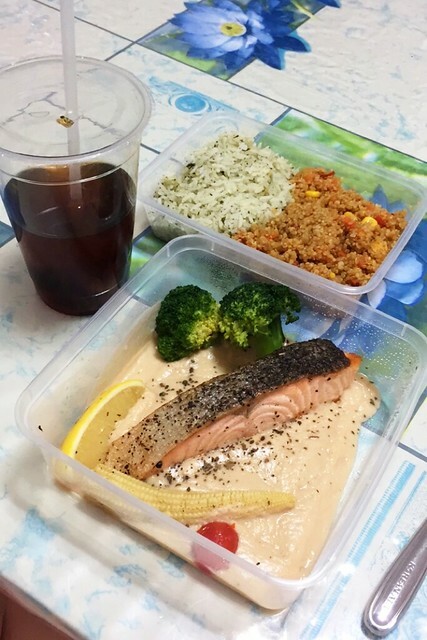 They also have fusion meals that are inspired by western and japanese cuisine, such as Goma-Ae Grilled Chicken with white pearl rice or Seared Salmon with Cauliflower Cream paired with quinoa. The Goma-ae Grilled Chicken served with Spinach is high in calcium and sesame seeds (which are one of the best seeds for boosting milk supply – is added to the dish! Chef Eugene has also included sesame sauce as well so as to give an extra milk supply boost and to add more flavour for new mummies. Accompanied with ginger juice and spinach, the dish is packed to the brim with milk boosting properties! I also need to give a shout-out to their Salmon with Cauliflower Cream because it is a freaking good dish that you gotta know about! The star of this Mediterranean styled dish, the salmon fillet, is extremely good for new mothers as it contains a high amount of this particular fat known as Docosahexaenoic Acid (in short, DHA). We all know how important DHA is ... I mean c'mon, it is why we eat fish oil for over 6 months of our pregnancy and milk powder advertisements are all about DHA! It helps in the development of our newborn's nervous system and if you're breastfeeding, what goes into you goes into the baby! Nursing mummies require a tad more Vitamin C now and thus cauliflower and spinach are both added into the dish! Both veggies are packed with vitamins and fibres that is essential for postpartum recovery! As for their staples, you will notice that they don't just serve you the atypical white rice. 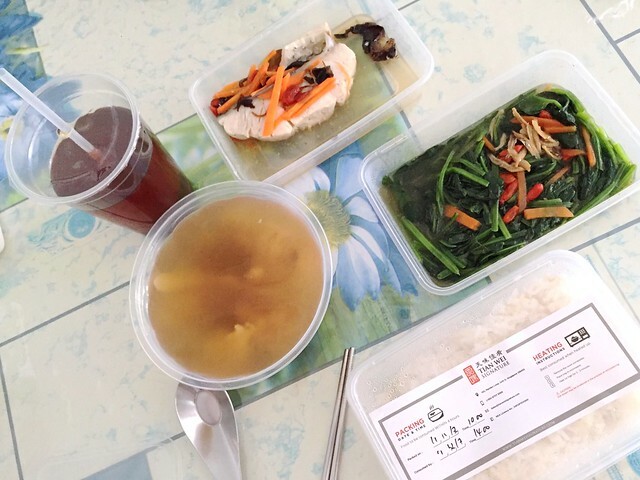 Tian Wei Signature is introducing a variety of staples into their confinement food menu as carbohydrates that are in the form of whole grains are important to keep our body fuelled with healthy calories and extra energy! This extra calorie/energy is essential to us breastfeeding mums as we burn approximately 500 more calories than moms who bottle-feed! Quinoa, barleys and brown rice are the healthier choice of whole grains that provide carbohydrates without the extra calories. Now let's talk about taste. I'm gonna be completely honest here and tell you that I think it isn't too bad! I have had worst catering food and this is heaven compared to that, PLUS IT HAS NO MSG OK! The food aren’t too salty, which I appreciated when I suffered from severe postpartum edema swelling in my limbs – I had legs like an elephant for weeks and my fingers were as fat as chipolata sausages! With that said, if you like your meals to be of a stronger flavour profile, just call them up, let them know and they are more than happy to add a pinch or two more of salt and pepper to your meals! To see their lunch and dinner menu, you can click here. For more information on their meal package price, check out this list below! Enjoy their Signature Trial Meal for lunch and/or dinner at only $40! This is great for the hesitant folks who need a little convincing and guarantee. Their delivery timings are from 10AM to 1PM (for lunch), 4PM to 7PM (for dinner). If you aren't home during the delivery hours, their driver will hang/place your food at your preferred place and their friendly customer service officer will drop you a call to notify you. It happened to me once when I brought baby Ethan for his check-up at his PD, and I forgot to notify them that I wasn't around at home! It was a pleasant surprise when I got their call, and it felt reassuring to know that my meal was hung nicely at my door and not thrown/taken away just because I wasn't home. Especially for my mummy readers, quote [SophieTW] to enjoy $148 off the 28-days double package! Book your meal on their website here in 3 easy steps. Step 1: Visit their website: www.tianweisignature.com, click on “Book now”. Step 2: Select your package plan, fill up any special request you would like to have in your menu plan and your personal details. Step 3: Make payment via credit or debit card. Once your submission is approved, their friendly customer service officer will drop you a call for verification of your details.